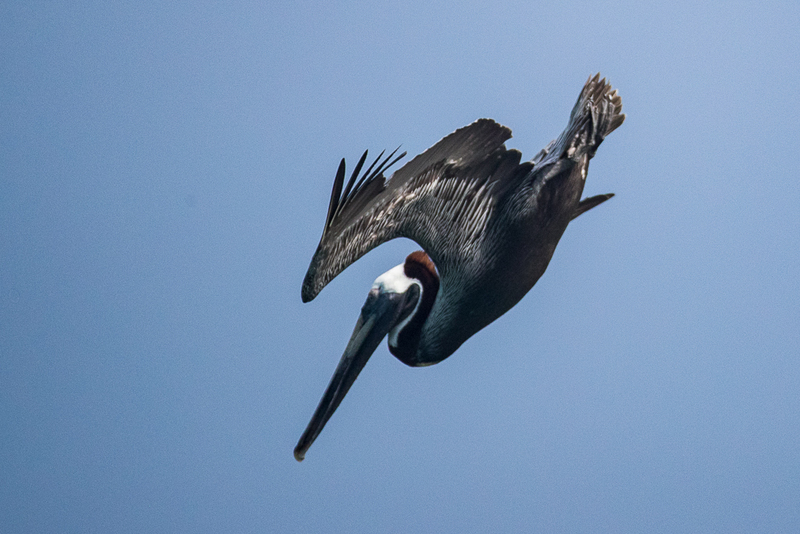 A couple of days watching some pelican fish has been fascinating to say the least. 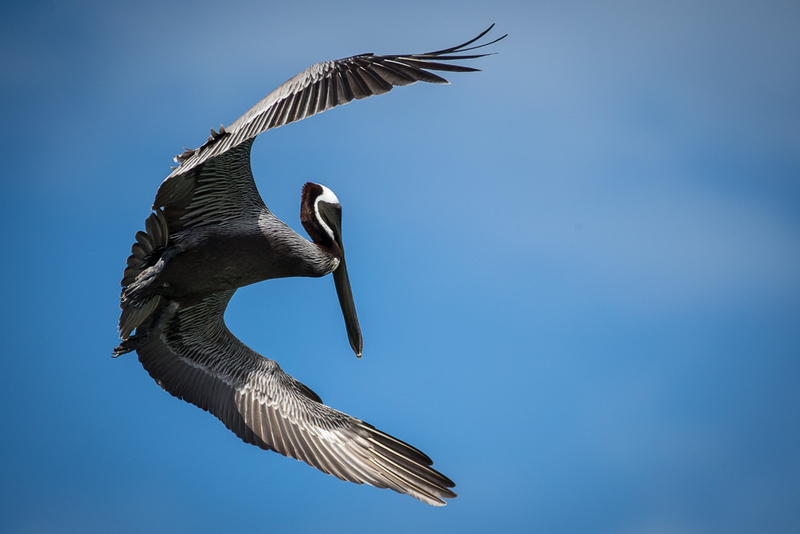 This is the first of 3 blogs and only looks at the pelican as it is about to enter the dive and during the dive. 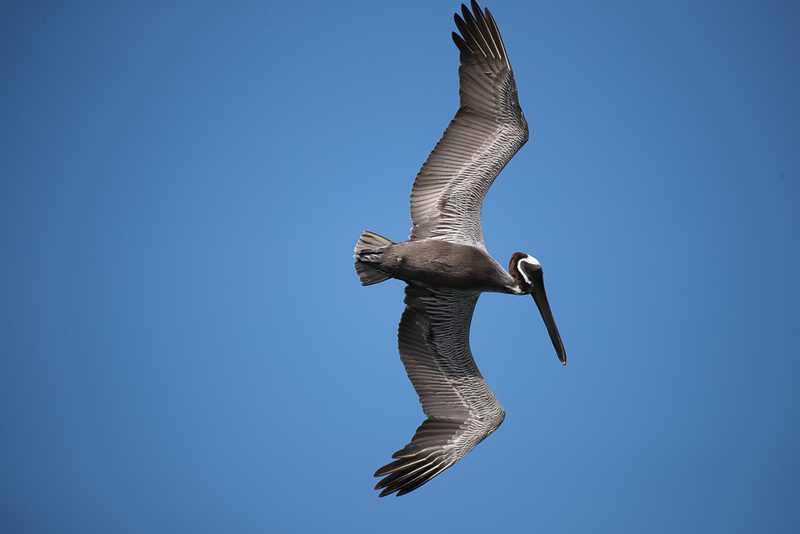 Future blogs will look at flight and take off. 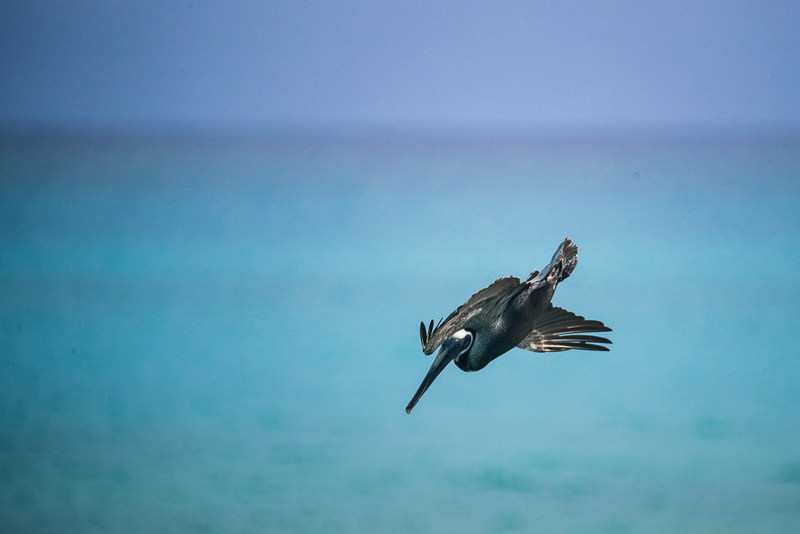 The pelican before it enters the dive will quickly gain a little height before banking around, tucking one wing away and start the dive. 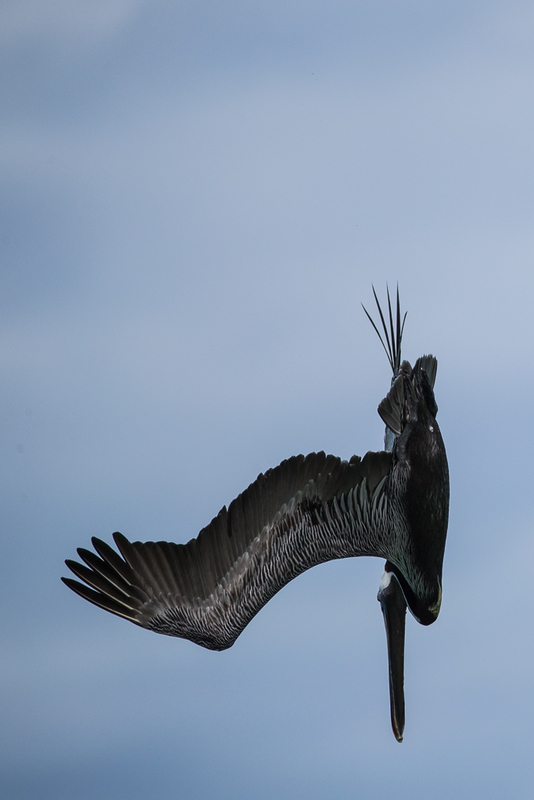 The wings are used to control the bird's trajectory most of the way down before both wings sweep back on entry to the ocean. There are three dives shown on the page all from slightly different angles and with different levels of success. 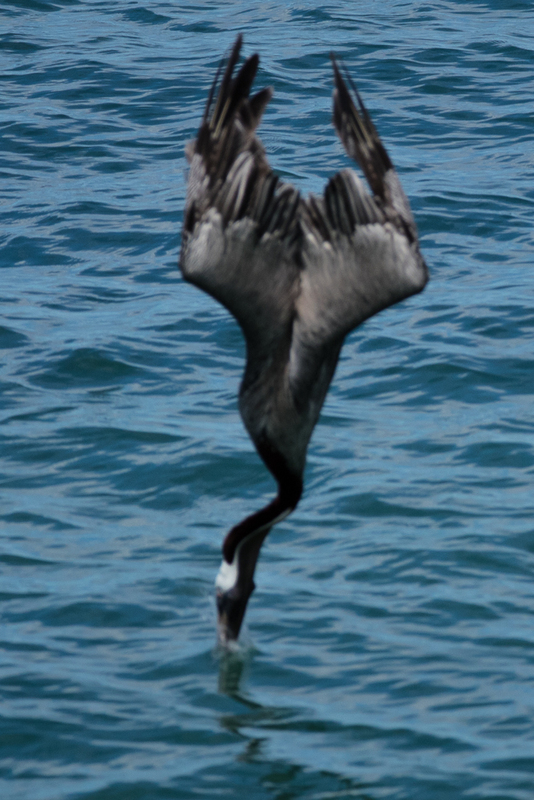 The first two images are as the pelican hits the water and the last view of its tail before it totally submerges. 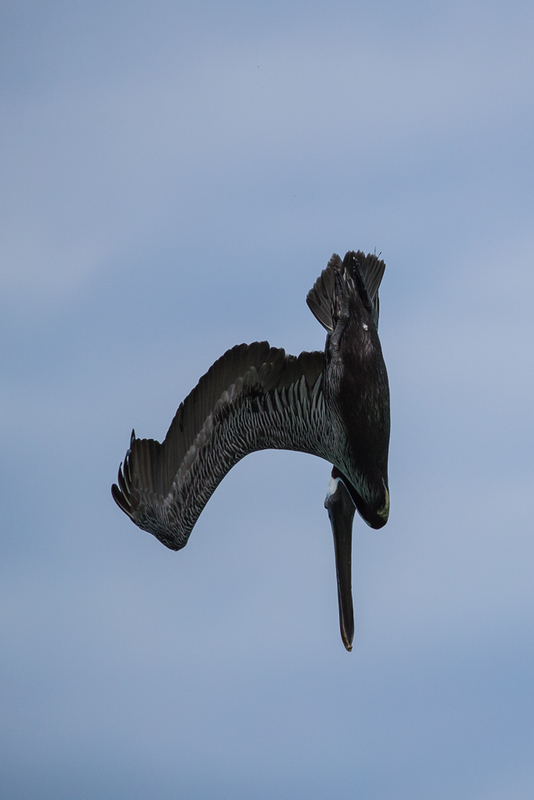 You can see how both wings sweep back and the neck is not fully elongated at impact, unusual for diving birds. 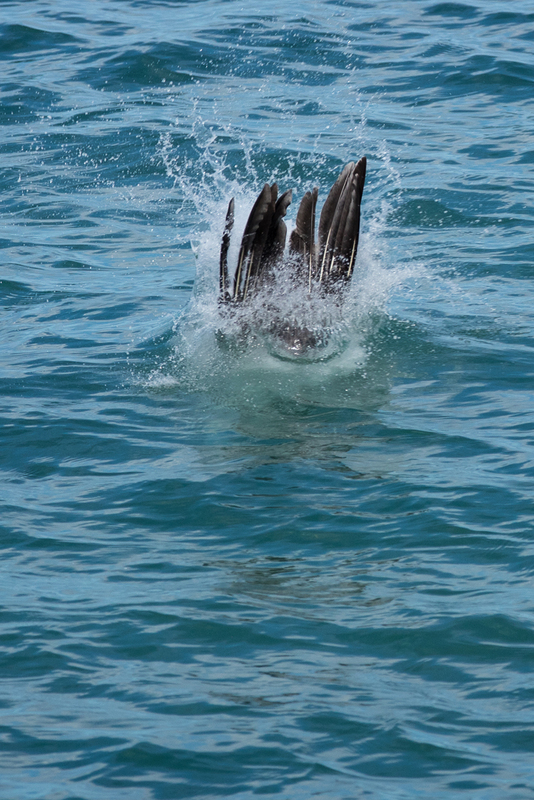 For the second series I was fortunate enough to have a bird diving almost face on to the camera. Of all the dives I watched it was a little unusual because it wasn't as steep as other dives. It also wasn't a successful dive. 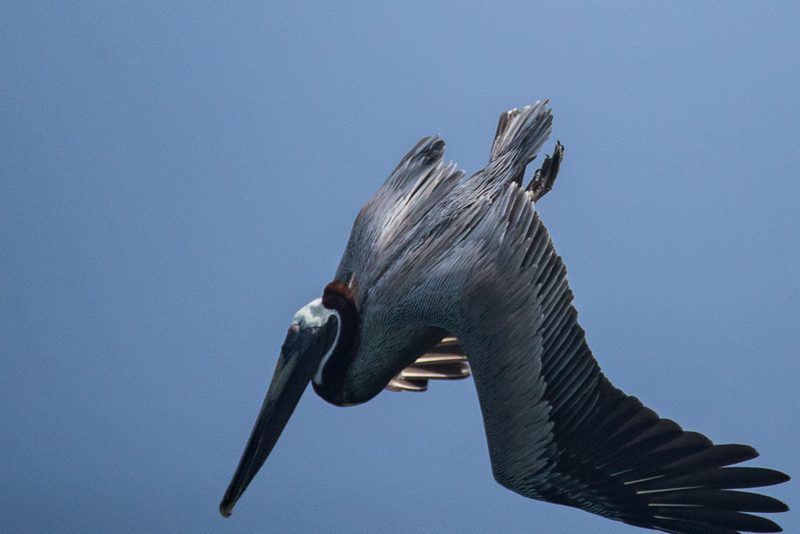 The final series starts with the pelican in that famous beak to one side look as it scans the ocean below. 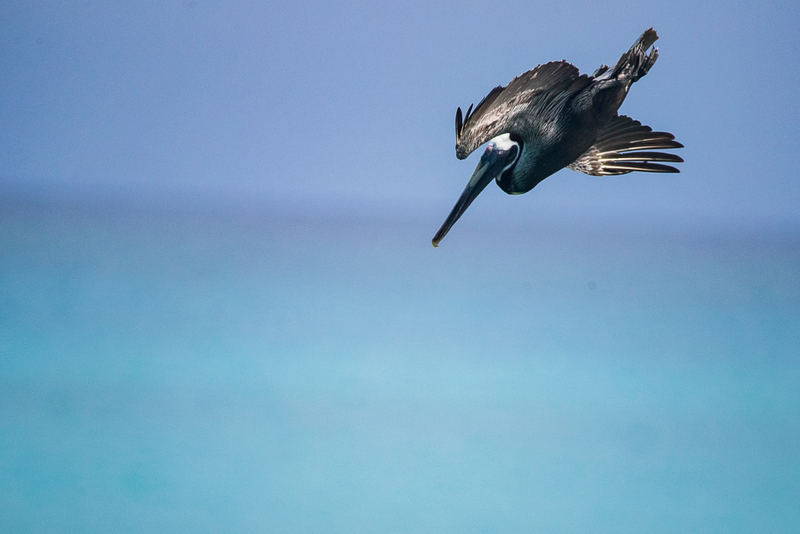 The wings break the forward direction and a steep banking dive is started. 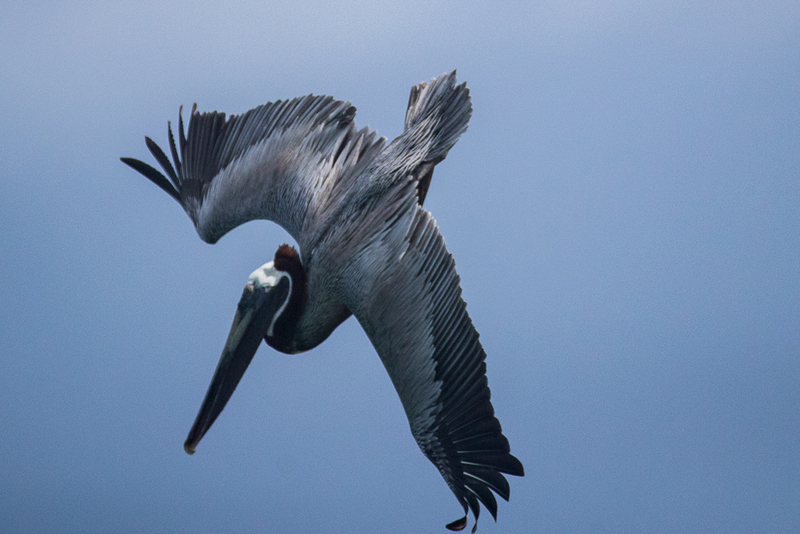 Like a diver from the high board using their arms to effect rotation so in this sequence you can see how the pelican uses its wings to rotate into an almost vertical dive. 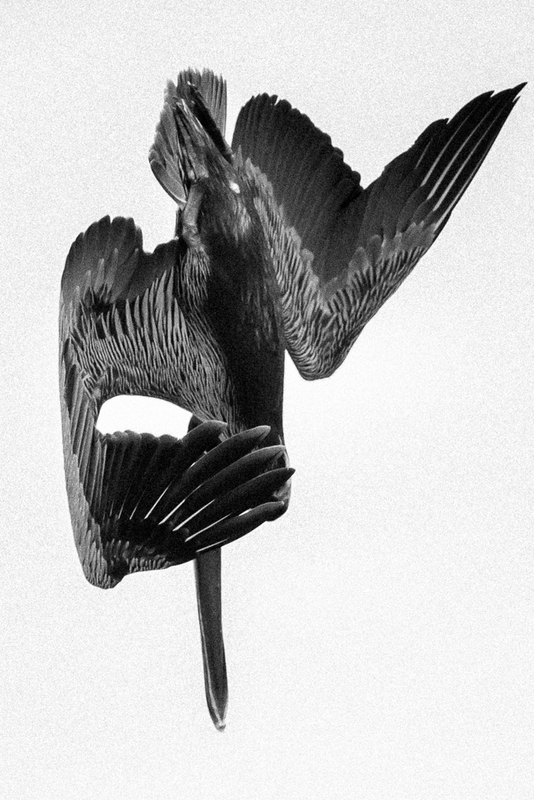 The last image is from this same sequence of images but has been processed in black and white. The form the bird has taken caught my attention and I also wanted to highlight some of the feather markings. 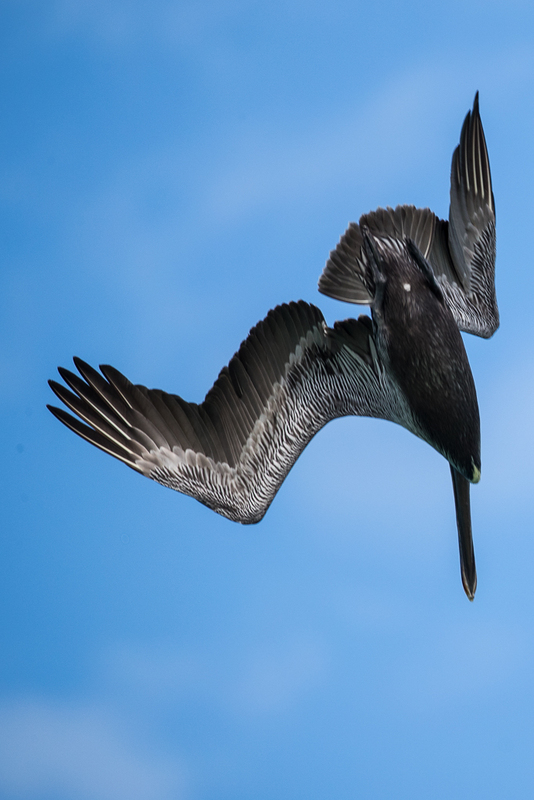 I felt that a B&W image which took away most of the sky isolated the form of the pelican in the dive whilst also drawing attention to the fine detail and overlay of the wing feathers.